Do512 Family Featured Babymaker, Quel of Homegirl Blog, wanted to let you know about an event that is dear to her heart this Saturday, Feb. 15. A special book-reading and craft will be at the Carver Library from 1 – 3 pm, read all about it! Author events at Carver Library are always a treat. You should go there expecting a rich, cultural experience that will resonate with children from all backgrounds. Saturday, Feb. 15 from 1 – 3 pm, bring the whole family out to enjoy a reading, book-signing and crafting event! 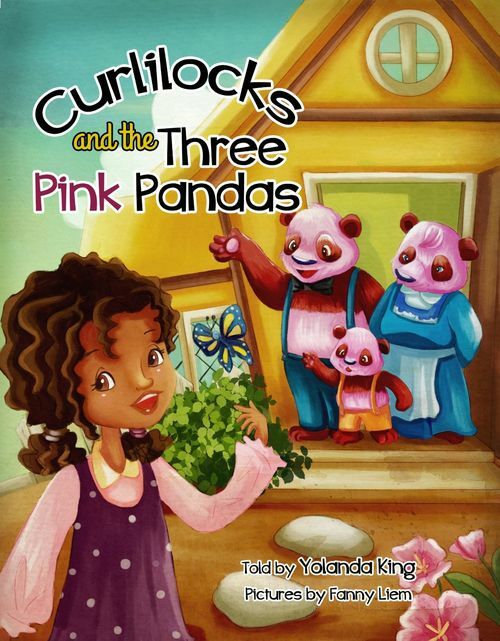 Local author, Yolanda King, will read her debut children’s book, Curlilocks and the Three Pink Pandas, followed by an awesome butterfly craft that all the children will enjoy. In her first book, Curlilocks and the Three Pink Pandas, King, takes us on an uninvited tour of the home of the Three Pink Pandas by a curious little girl with “super curly hair”! The twist this story takes at the end and the characters and foods introduced in this beautifully illustrated storybook will keep little readers eager to read it again and again. Yolanda explained that her daughter’s “super curly hair” and favorite stuffed bear as well as her own desire to see more children’s books that reflect children of color all inspired Curlilocks. My son Zack loves the colorful vocabulary in this book. Words like “fantabulous” and “eek!” make him giggle every time. Check out the trailer then mark your calendar to attend the reading and craft event on Saturday. This is a great book to enjoy as a family. Yolanda King is an Austin-based wife, write-at-home mother of two and is the owner of Tangled Press, and will be delighted to meet your families and sign books just for your kiddos.